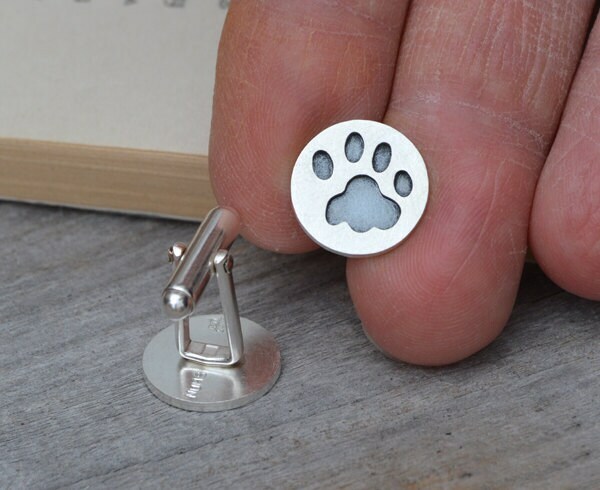 This is for having your pet's pawprint on your cufflinks. 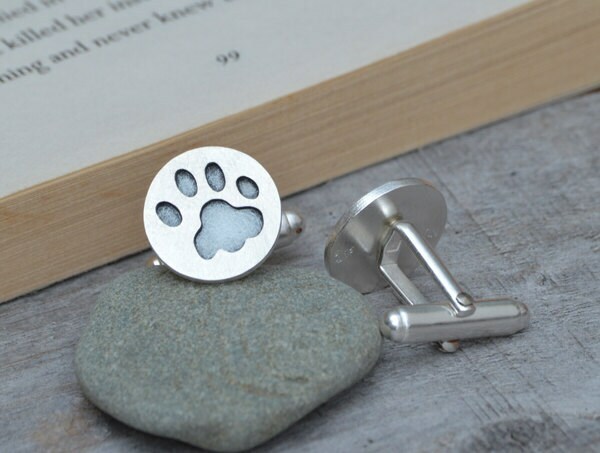 You provide the pawprints of your beloved pets, and I make them into cufflinks for you. 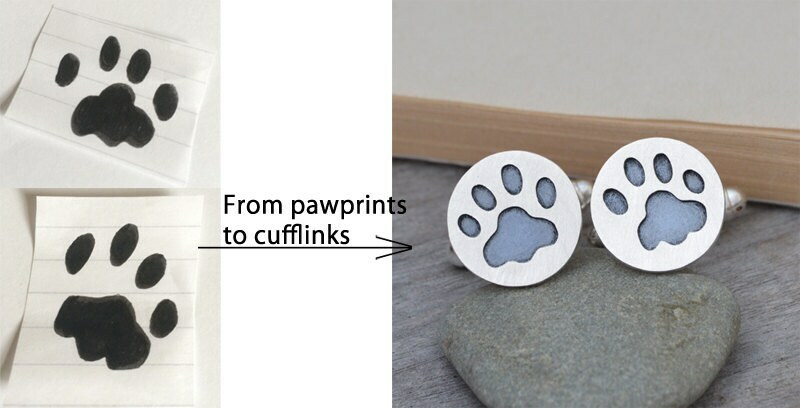 Personalized option: You could have up to 4 characters for each cufflink. 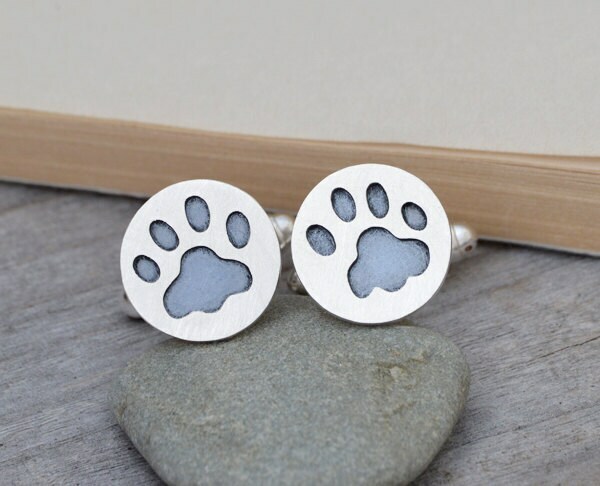 I can also turn your pet's pawprints to necklace or earring studs. Please contact me for details. They are also avialable in 9k yellow or 9k white gold (£250 / pair). Please contact me for a special order.